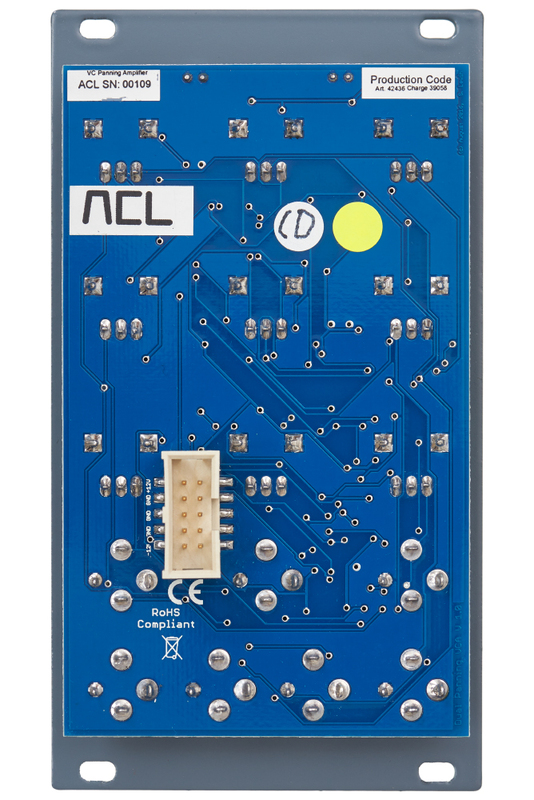 The ACL VC Panning Amplifier is specially designed to process audio signals, dynamically positioning them in a stereo field. In case one processes mono signals, but still needs low distortion, low CV feed-trough, low noise voltage controlled attenuation and amplifcation, the unit can be also operated as two standalone VCAs. 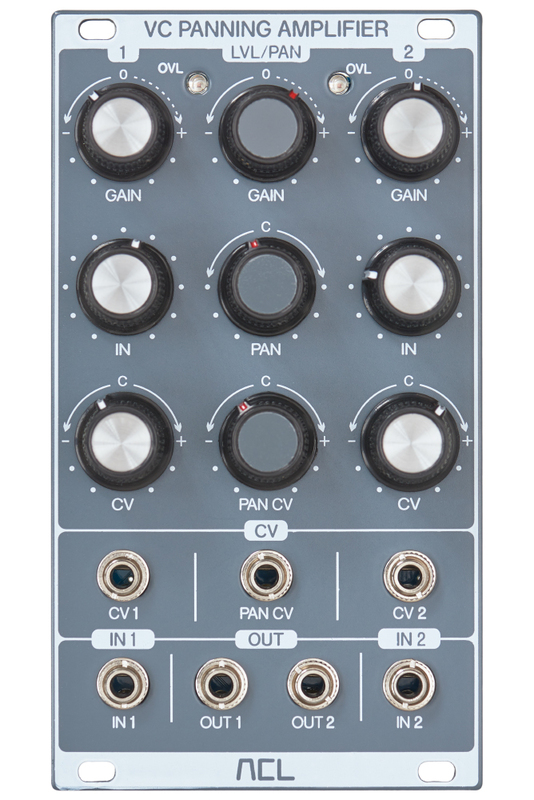 The module has two exponential response VCAs with voltage and manually controlled gains, input level attenuators and overload indicators. When no jack is connected to IN 2 and CV 2 inputs, they are normalized to IN 1 and CV 1 inputs respectively. Some of the possible confgurations with this arrangement allow the gain of both channels to be controlled together with one CV, while processing different audio signals, or both channels to be operated individually, if needed. 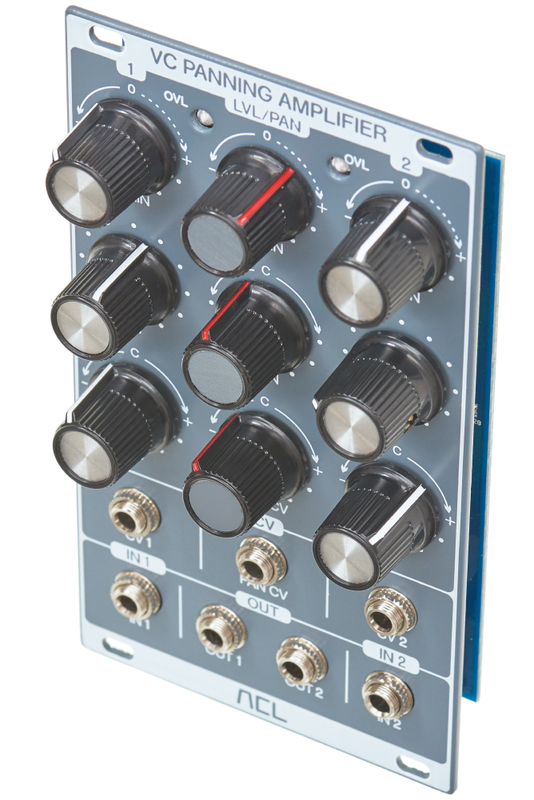 The gain balance between both VCAs and hence the panorama position of a stereo signal is manually and voltage controllable. 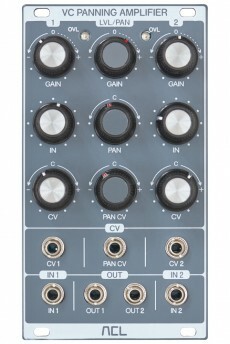 The common gain of the two channels is also manually adjustable with a single pot.